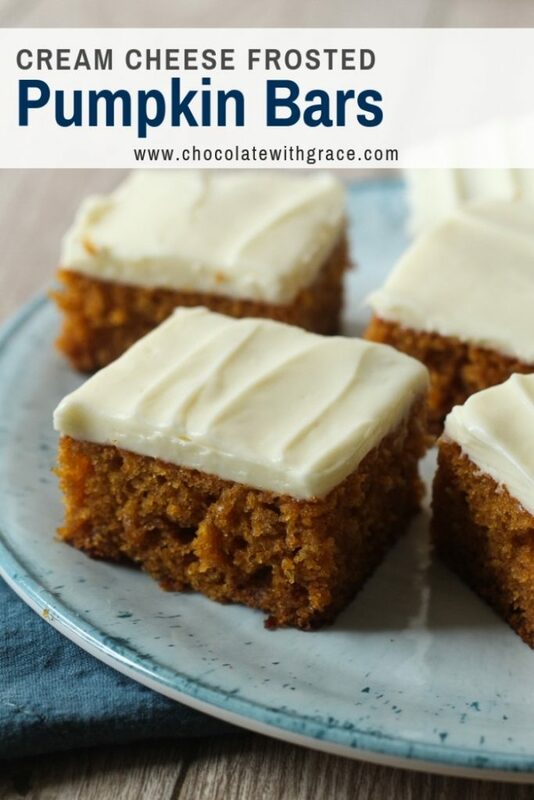 Classic pumpkin bars that are super soft and moist and spread with a thick layer of tangy cream cheese frosting. * This post was originally published in September 2015. I’ve updated the recipe and photos. So on this rainy fall evening, I bring you the second pumpkin recipe of the season! Because it’s time for #pumpkineverything. It’s amazing how fast the weather can change. Yesterday it was 90 degrees and humid and today was rainy and barely over 70. And I loved everything about today because it genuinely felt like fall and justified my obsession with pumpkin. 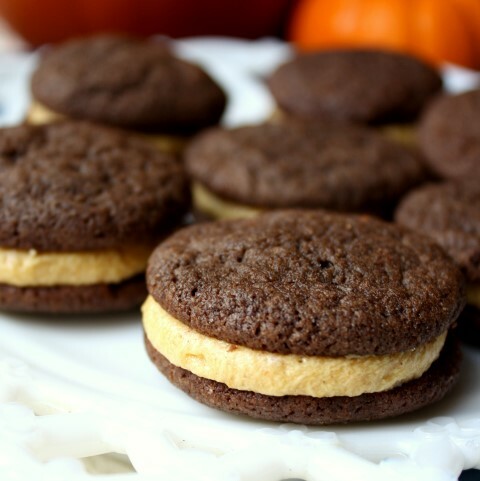 If you’re like my sister, whose least favorite season is “pumpkin season” hang on because I have some other fall recipes. 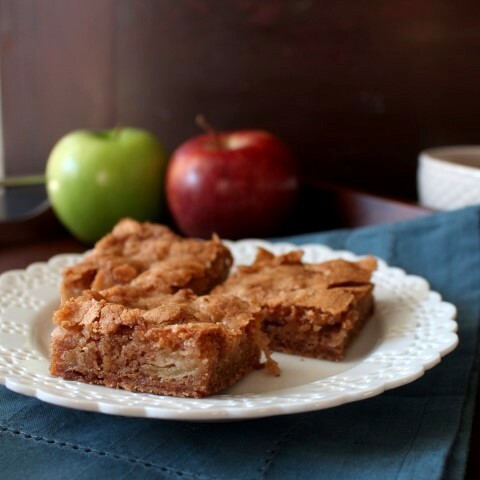 But, I think this is a classic recipe that everyone needs on their fall baking list. The recipe is super easy and basically impossible to mess up, perfect for those times where you need a quick dessert that everyone will love. The other great thing about this recipe is that it makes enough for a crowed. You can either have 24 large pumpkin bars or 36 regular sized. 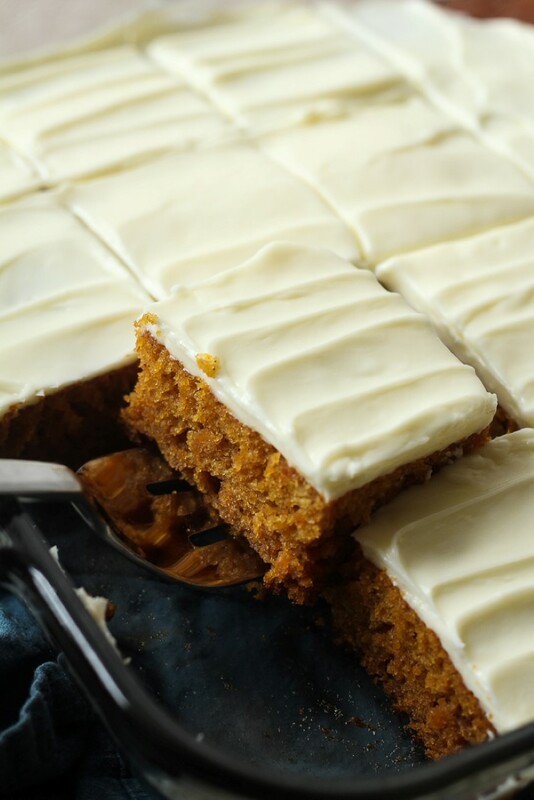 Or if you’re serving these pumpkin bars for a dessert bar, you could even cut them into 48 pieces. 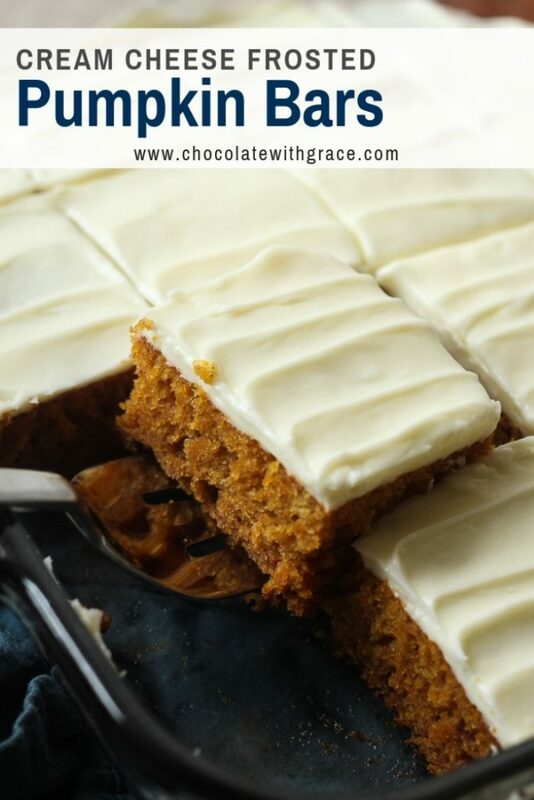 If you’re looking for other pumpkin desserts, check out my layered pumpkin cheesecake bars, pumpkin sheet cake with brown butter frosting or my pumpkin dump cake. 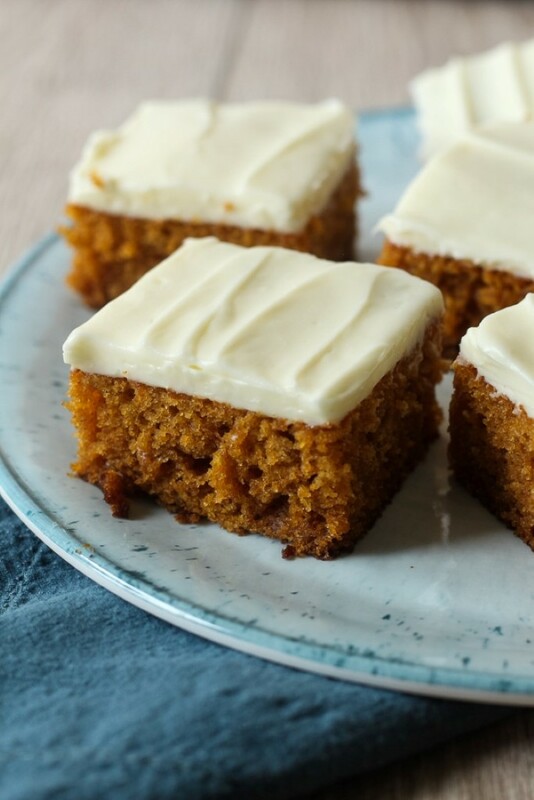 All of them are easy and perfect for all the pumpkin lovers out there. Preheat oven to 350 F and grease a 8 x 13 inch baking pan. In a large bowl, beat together the eggs, sugar, oil and pumpkin until well combined. In a separate bowl, whisk together the flour, baking soda, pumpkin pie spice, and salt. Add the dry ingredients to the wet and gently stir until well combined. Bake for 28-30 minutes or until a toothpick inserted in the middle comes out clean. Let cool completely. To make the frosting. Beat the cream cheese and butter on high until smooth. Beat in the powdered sugar, vanilla and salt until smooth. Do not over-beat. Spread on top of cooled bars. Cut into bars. Just made. Haven’t cut yet…looks more like a cake. Are they bar like or cake like? 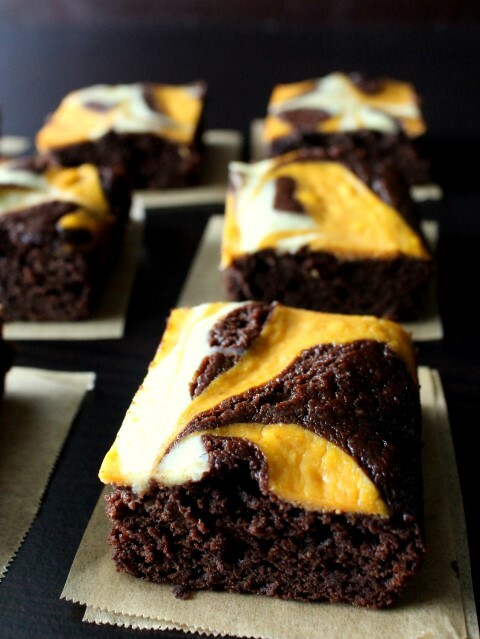 They are definitely more cakey in texture. I’d like to make these for Thanksgiving dessert. 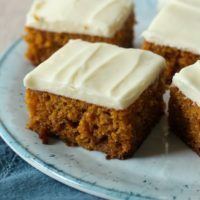 Is it possible to make the cake portion a day in advance and the frosting the day of to keep it from hardening? Would I be sacrificing quality at all if I do this? In other words, how would I preserve the moistness? Yes, you can make the cake a day ahead and then frost the next day. However, if you frost it the same day you make it, the cream cheese frosting will not harden if you cover it tightly. In you directions for the dry ingredients you mention baking powder, however that isn’t listed in the ingredients. Curious if it needs baking powder? It only needs baking soda. Good catch! I updated the recipe. Thanks. Just made this recipe and, OMG, so good! 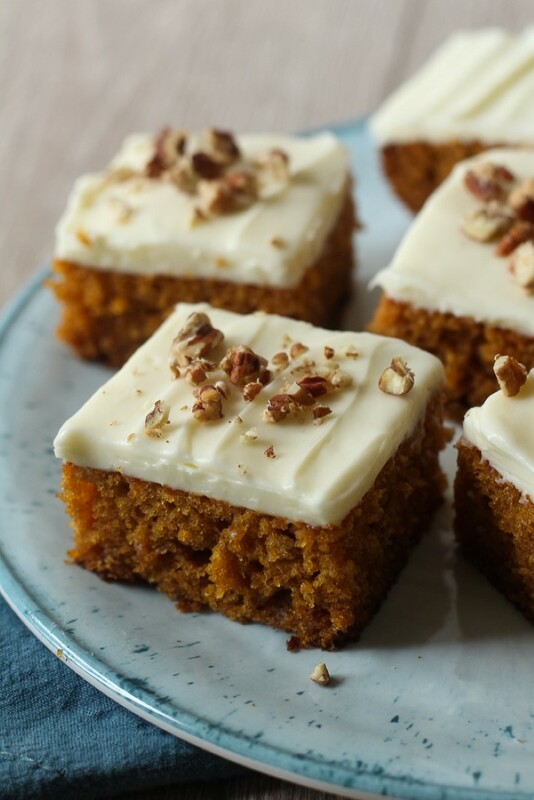 Super moist and pumpkiny and the cream cheese frosting is so light and fluffy it’s like eating a sweet, tangy cloud. The frosting recipe is definitely going in my recipe box for use on future sweets.